Hey, what’s going on you guys? Alex Branning here. I want to talk about business, and how it should be looked at. In other words, what is the mindset that you should have when you’re analyzing the success of your business? There’s a lot of different ways that people look at business, and there’s not a right or wrong answer to this question. But I want to encourage you to look at your business, number one as a cash multiplier, and then number two, as a way to impact people in a really positive way. If your business is not generating capital, it doesn’t matter how much impact or influence you’re having. It doesn’t matter how much fun your having. If your business isn’t making you money, if it’s not turning your cash and multiplying it into more, then you’re going to have to get a job, like your business won’t survive. Also, if you’re business is not having a positive impact in the market, then eventually it will collapse. There are a lot of business models out there that are inherently selfish. I’m not going to list them, you know pretty much what I’m going to talk about, right? So, there are businesses that are out there that exist just for the soul purpose of making money off people in a negative way. One that comes to mind is Payroll Lending, and there’s others. There’s people out there just looking to squeeze other people for a buck, and it just doesn’t feel good. And that’s not the business here, so don’t worry about it, I’m not talking about you. I’ll give you some examples. Number one, marketing, I mean I am your marketing coach, so you if you are not spending dollars marketing, then you cannot multiply that investment into more sales,you know? It’s not uncommon for my clients to make two or three times their marketing dollars back in revenue for their business. That’s cash multiplication. Also, you should be looking at investments in education, because if you’re not being mentored by someone, if you’re not being coached by someone, and you’re trying to figure it out on your own, then the rate of your growth is going to be far less than it would be if you had someone that was able to help you navigate. I mean it’s kind of like if you were to look at learning math. If you were to read a math book, you can probably learn the concepts and pick it up. But how much quicker would you learn it, if you had math teacher? Right? In the same way a business has a lot of things that while you could learn it by reading it, it’s a heck of a lot easier to apply it if you have someone who’s walking you through the process. Another way to look at cash and multiplying cash is being able to set up recurring revenue models.And there’s a lot of really good ones in a book by John Warrillow, it’s called the Automatic Customer. I highly recommend looking at that. But think about ways where you can bring a customer into your world, provide them service and value every single month. And that is determined by you, that could be mentoring, there’s so many different things you could do where people are learning from you and staying connected to you. But if you are able to bring in a customer one time, make one sale, and then generate revenue every single month, you have something really, really special. 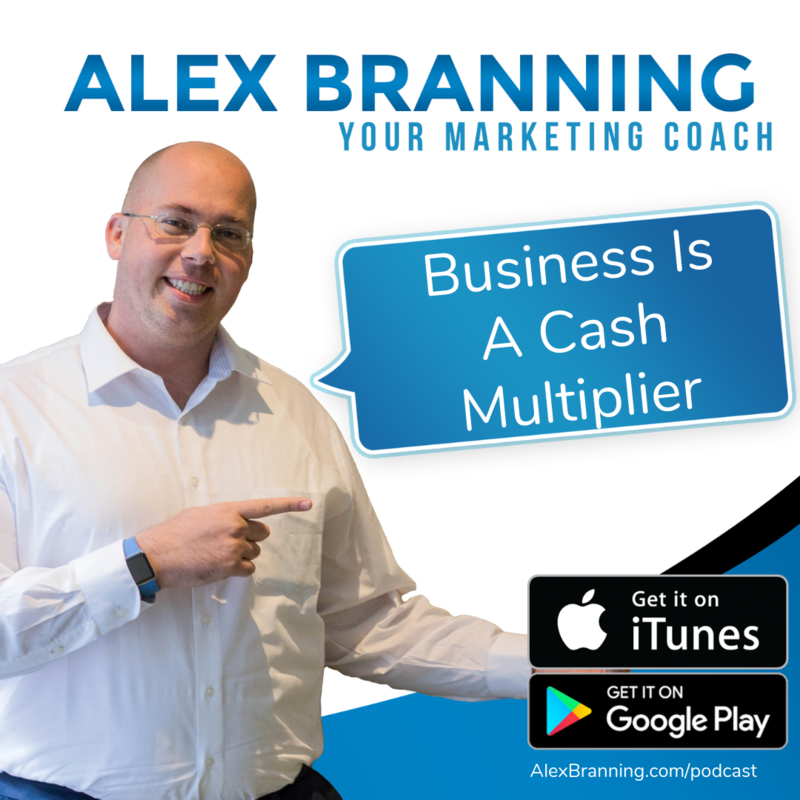 The next way that your business can be a cash multiplier is if you are able to bring in additional value to your customer, where you get paid if they take action, but you don’t have to fulfill it. In other words, that could be referral books, it could be affiliate marketing. It could be something along the same line. So, for myself, I have a lot of different ways where I can help my prospects that come in. But, I don’t have to actually fulfill the order. In other words, I have affiliate marketing with different software packages and other monthly services. I get referral bonuses from business coaches and other people that I’ve aligned with that provide services that I do not. But if I send a client their way, then they’ll cut me a check. So, there’s ways that I’ve positioned myself with people and software that I trust, where if I send a recommendation, I’m able to get compensated. Now, when a prospect comes in, even if they’re not a good fit for me, I still have an opportunity to serve them and make some money on the back end. 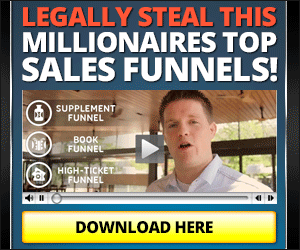 That’s really cool because now it makes my lead generation a lot easier, and much more profitable. And then last but not least, the fifth way for you to multiply your cash is being able to make money and then take the profit and invest it into purchasing a cash generating asset. For example, one of the things that we’re working on right here at the Branning Group, we’re working on creating enough capital so that we can buy a commercial building. And then that commercial building would then be a cash generating asset, where we would have the Branning Group headquarters. And, we would also be able to rent out the other spots in the commercial building to, in essence, have the building pay for itself, and be an appreciating asset. Well, I would look at it this way. There was a long time where I was just able to scrape by month after month after month without having to invest in my own capital. But, I was never really able to get to that next level in revenue, and that was because I wasn’t investing in myself, I wasn’t investing in marketing, and I wasn’t investing in my partners. And so if I’m not investing in things, there’s no way for that investment to multiply. And so I just kept kind of scraping by, and not really able to make it over the next hurdle in my business. But, once I started investing in myself with education, hiring a business coach, really investing in marketing, like some serious capital, then I was able to really multiply cash and get to a place where I’m at now, which is where I’m very comfortable… I wouldn’t call myself rich, but very comfortable financially, and I have a thriving business. So, now let’s talk about looking at your business from an impact standpoint. Because even if you’re making a ton of money, if you’re not having a positive impact in the world you’re not going to feel fulfilled. I’m bringing this up by the way because I had a lot of conversations with people that were listening to my podcast and wanted to reach out, and other people that were watching some of my live videos. And I got the message over and over again, which was Alex, business is great, but I’m not happy. That happens, and that happens with me too. I have too much of an inwards focus on my business. So, when I’m not looking outward to see what kind of impact I could have with the people around me, then it gets kind of lonely, and I don’t feel like I am fulfilled on a spiritual level or on a relational level. I just don’t feel fulfilled. The bank account may look great, but I don’t feel fulfilled. And so, how do we fix that? There’s not a one size fits all answer to this question. But, I would look at your business and the connections that you’re making and say how can I really help these people? It’s one thing to sell to them, and I believe you should be proud of what you sell and it should be of benefit. So, let’s just assume that what you sell provides a benefit to the person that buys it. So, I can sell something to someone, but I can still not feel fulfilled that I helped them and I was able to really provide value beyond the sale. And so for me, what I did to start getting more fulfillment out of my day to day work was I tried to look at each interaction that I had, and evaluate what else can I add in?Like what else can I do to serve? Is there a connection that I can make for them? Is there encouragement that I can give them? Is there some other resource, a gift that I could send them? Like really looking at each interaction I have on a daily basis and asking myself what can I do to make this even better for them, and more fulfilling for me? How can I serve even more? How can I serve even to a higher level than what I’m serving right now? And when I have that mindset, when I take the focus off of me and meeting my needs, and I look to meet their needs, now I start to feel fulfilled. I feel better about my day to day. There’s other benefits that come with that, people do feel more loyal towards you, and you’re building relationships. And that’s all great. But at the end of the day, you see a lot of miserable rich guys, right? It’s like they’re wealthy and sad. And I don’t want to be that, I don’t want you to be that. I want you to use the tools and ideas that I’ve given you to be really successful. And that means making a lot of money. I don’t believe there’s anything wrong with that. But I also want you to feel fulfilled. And so if you look to inspire others, impact others, nurture others, then you will have more fulfillment in your day to day life. So, that’s my two things for today, guys. Looking at your business as a cash multiplier. If you multiply anything by zero, it’s zero, so you have to invest to see the multiplication. And then look at the interactions that you have on a day by day basis and say how can I serve even to a higher level than what I’m doing now so that I can help that person, and feel better about what it is that I bring to the table? So, you guys are amazing. Please feel free to reach out if you have any questions. And if there’s anything you would like me to go over, I would love customer feedback. So, hit me up, alexbranning.com. Or on Facebook, Instagram, Twitter, Alex Branning. I’ll talk to you guys later.